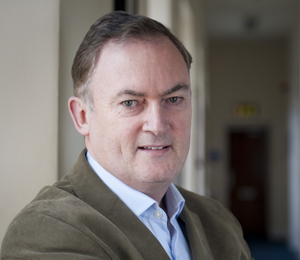 Ronan Tynan co-founded Esperanza Productions with Anne Daly during the genocide in Rwanda, and their first documentary together was RWANDA, NO JUSTICE, NO FUTURE. A consistent interest in human rights, has informed his output over the years, especially stories about people, often at great cost to themselves, seeking to stand up for others. DROPPING THE NUMBER 10 FOR DILI, an Esperanza co-production with RPT, Portuguese National Television, and filmed in East Timor, Portugal, the UK and Ireland is a good example. Ronan won the Television Journalist of the Year Award 1999 for that documentary, with Anne Daly. He also co-produced and directed with Anne, the award winning WHEN HAPPINESS IS A PLACE FOR YOUR CHILD which won the National Broadcasting Award in 1996. 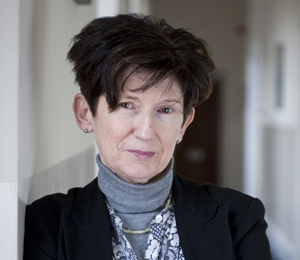 Anne Daly began her career as a broadcast journalist with RTE, Ireland’s national television and radio broadcaster, winning a number of awards for her reporting. Anne co-founded Esperanza Productions with Ronan Tynan in 1995 during the genocide in Rwanda, and their first documentary together was RWANDA, NO JUSTICE, NO FUTURE. A consistent interest in the Developing World, has informed her output over the years, especially stories about people, often at great cost to themselves, seeking to stand up for others. DROPPING THE NUMBER 10 FOR DILI, an Esperanza co-production with RPT, Portuguese National Television, and filmed in East Timor, Portugal, the UK and Ireland is a good example. Anne won the Television Journalist of the Year Award 1999 for that documentary, with Ronan Tynan. Anne’s first social documentary about the struggles of parents with children with severe learning disabilities – WHEN HAPPINESS IS A PLACE FOR YOUR CHILD – won a National TV Broadcasting Award in 1996.